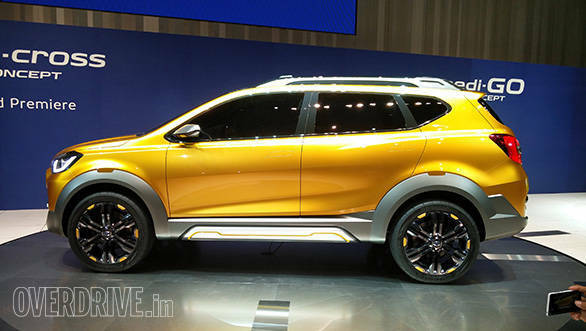 The Datsun Go-Cross is targeted, like the rest of the product portfolio, at global markets. 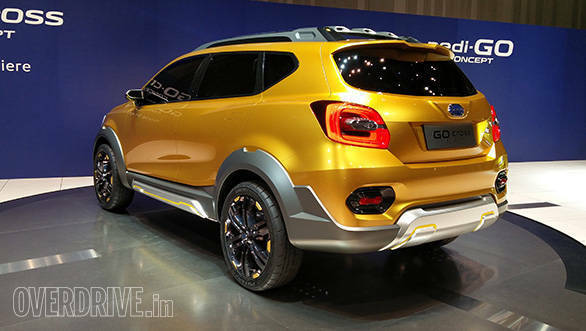 Undoubtedly, given the Indian customer's affinity for crossovers, the Go-Cross will make its way here as well. 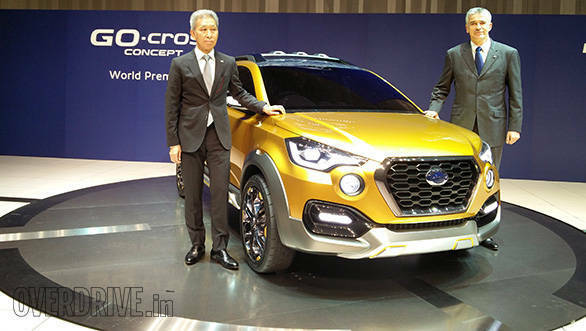 We just saw it in the flesh at the 44th Tokyo Motor Show and we think it holds a lot of promise for the Indian market. 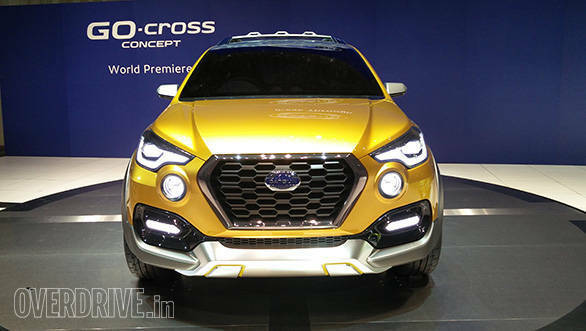 The Go-Cross will aim to raise the Datsun brand above the extremely affordable price profile the rest of its products exist in. 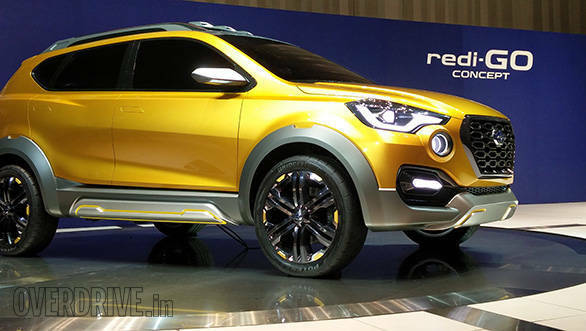 While the concept does look almost production ready, there may be a few bits that will not see the light of day such as the wing mirrors, the large wheels and tyres and other ornamental bits that adorn concepts. Expect the rest of the design attributes to stick around to give it a sense of premiumness and presence. Scroll down to take a better look at it. Datsun head, Vincent (right) insists that "Datsun does not build cheap cars, Datsun builds cars for people willing to spend a year or two worth of disposable income on them."